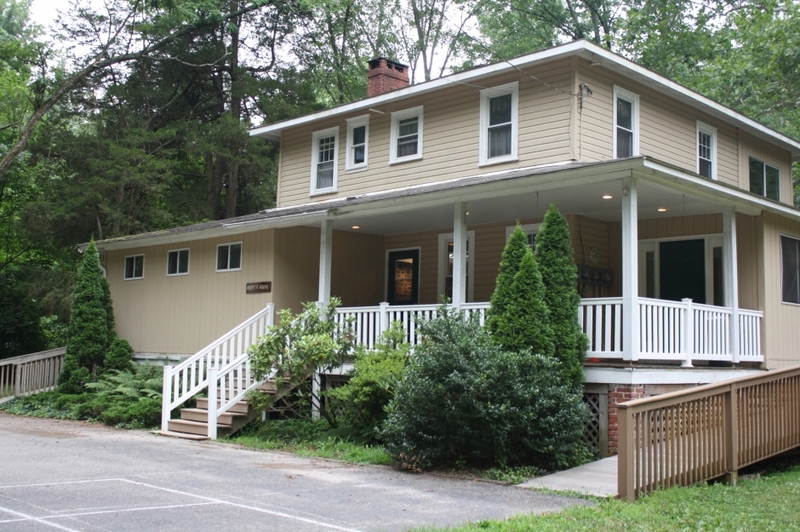 The Parker House facility is a converted farm house that is ideal for smaller retreat groups. Overlooking the French Creek, the Parker House is a tranquil get away accommodating 22 overnight guests. Lounge/Meeting Room with fireplace, overhead screen, white board, and wifi. If your group exceeds 22, the adjacent Banks Cabin is available at no additional charge other than your price per person rate and sleeps 8 additional guests. There is no facility charge for the Parker House or Banks Cabin, but a minimum usage fee of $250 must be met through per person rates. Please contact Guest Services for day rates or hourly usage. Guest groups who cancel less than 60 days prior to their reservation will incur a $250 cancellation fee. Please read our complete rental facility policies before reserving any of our facilities. For availability, please contact Guest Services at guestservices@campsankanac.org or 610-310-7066.